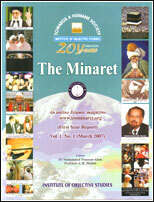 At a time when Ireland was enduring the terrible loss of a million dead and the mass exodus of a million more during the Great Hunger the story goes that the Ottoman Sultan, Khaleefah Abdul-Majid I, declared his intention to send �10,000 to aid Ireland�s farmers. However, Queen Victoria intervened and requested that the Sultan send only �1,000, because she had sent only �2,000 herself. So the Sultan sent only the �1,000, but he also secretly sent five ships full of food. The English courts attempted to block the ships, but the food arrived in Drogheda harbour and was left there by Ottoman sailors. 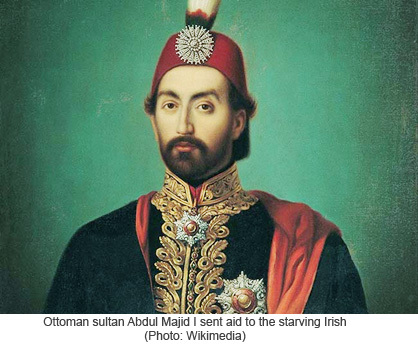 That �10,000 that the Sultan pledged to the Irish would be worth approximately �800,000 ($1.7m) today. �Famine� is scheduled for release in 2016 and is written and directed by Omer Sarikaya, along with Tipperary-born screenwriter Norina Mackey. Sarikaya spent two years researching the story and was determined to bring it to the big screen. It was a true passion project for Sarikaya, who also announced that most of the profits from the movie will be donated to UNICEF. This week Sarikaya announced that Irish American actor Dave Bresnahan has joined the cast. �We are thrilled to have a very skilled character actor Dave Bresnahan play the role of Frank, a Catholic priest. He will perform a very significant supporting role that opens the film and then will help bring the story to conclusion.� Sarikaya said. �His background as an Irish-American with relatives who currently live in Ireland brings added perspective to our international cast and crew. Filming for �Famine� will take place in Ireland, England, and in Turkey in the summer of 2015.